Regular readers will know about Defra's “smarter working” initiative, as explained by our COO Betsy Bassis in a recent blog post. It means adopting a user-centered approach to the processes and services our staff use every day. One of those processes is performance management, or “PMR” as many people know it. Like most organisations, the civil service uses a performance management system as a way of feeding back to people how well they are doing in their work and providing them with the support and development they need in order to fulfill their potential. Performance management is not just about the end-of-year PMR meeting between a line manager and the person they manage, it’s about day-to-day feedback and is one of the things that sits at the heart of how we work together and deliver as an organisation. That said, the way we do it is at the moment is cumbersome. Feedback we’ve got from surveys, from unions and networks, and directly from our staff has made that clear. My message to our staff is: we hear you. We agree. It’s definitely time for change. My job is looking after people and HR processes for the Defra group. That includes making performance management better. Radical change to the entire system is probably a good idea, but that will take time. So as Betsy mentioned in her blog post, we’ve been looking at small, quick fixes we can make now, to make people’s lives a little bit easier. Here are a few changes we’ve made, or are making soon, to make things better. A lot of this gap is down to process, and we’re trying to simplify and speed that process up. This year, we’ve managed to make it about a month faster (final marks were confirmed by mid-June, rather than mid-July the previous year). Progress, but not the whole answer. We’re going to keep looking at this. During the performance management process, staff are sorted into three very broad categories: “Exceeded Expectations”, “Met Expectations,” and Must Improve”. We agree, the phrase “Must Improve” doesn’t help. So now it’s gone. We’ve changed it to “Additional Support and Development Required”. Still a little clunky, but early feedback suggests that this feels better for people, and we can change it again if we need to. Bizarrely, this was true. The old performance review form we asked all staff to fill in did not allow people to do a simple spell check. We’ve fixed that. Crucially, and echoing Betsy’s words in her post back in July, we’re putting users first and working in an agile way. We’re not software developers. Agile ways of working are new, or sort-of new, to most of us. We’re learning as we go. But we’ve already learned that if we put users first, we’re more likely to get an outcome that works for those users. Not rocket science, I know. 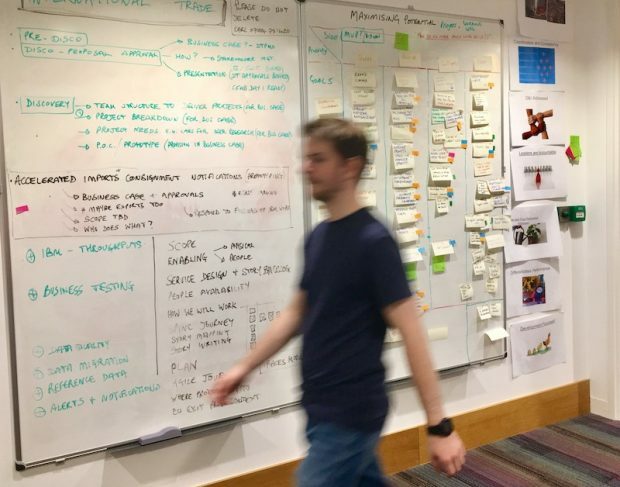 We’ve already met loads of our users and we’re started to develop a really great sense of what we need to change, and how to keep improving. We are shifting the attention on to the ‘conversations’ because both lots of people (those who manage, and those who are managed) told us that performance management should be more than just a bureaucratic process. 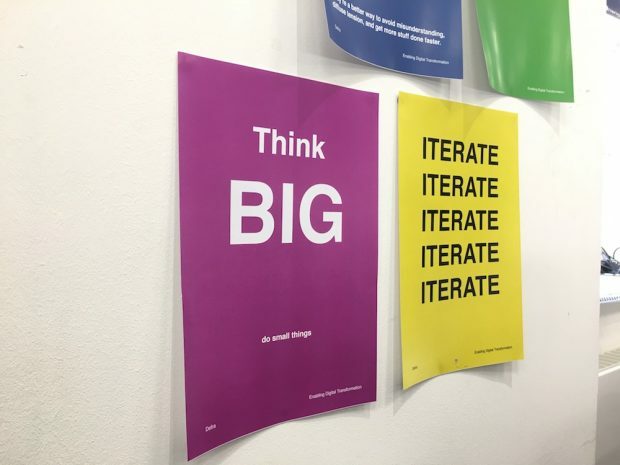 There’s a poster that’s gone up around some bits of some Defra offices recently: it says “Think big, do small things.” That’s what we’re trying to do here. None of these changes is very ambitious or difficult to do; but combined, they have an impact. It's only since we started working in an agile way that we found out, by putting users first, what those small changes could and should be. Watch this space. There’ll be more.